You may have noticed that a portion of Potomac Avenue SE (between 17th Street SE and E Street SE) was closed down Wednesday night due to a fallen tree. You may have also noticed a car under the fallen tree. The heavy, wet snow caused the tree to collapse. Fortunately, no one was injured and no other cars were hit. The city came on Thursday morning and chopped up the tree. Amazingly, my car only had minimal damage (no cracked windshield or dents). I owe a big thank you to Lt. Thornton and MPD Officers Wagner and Kopp for notifying me and directing traffic around the closed section of Potomac Avenue. How did your streets look on Wednesday night/Thursday morning? 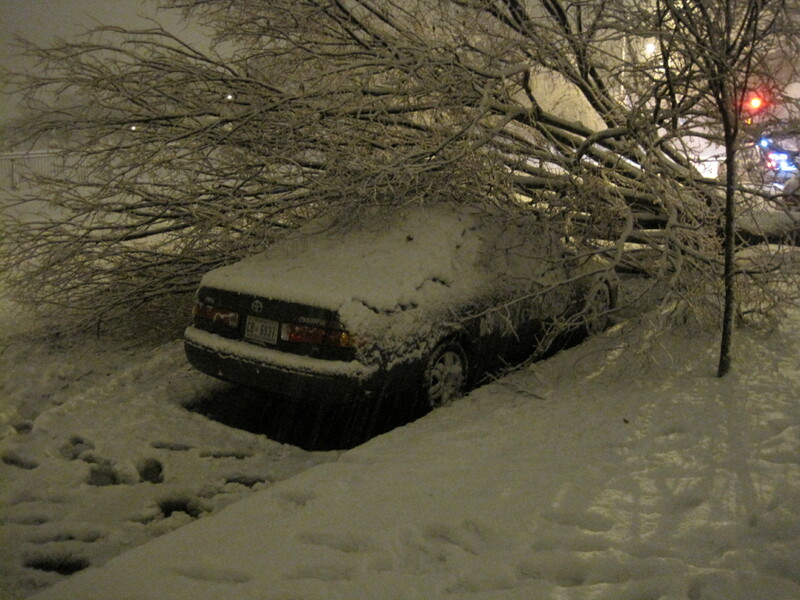 Let me know if there were any problems re: plowing, fallen trees, branches, etc. Have a nice (and safe) weekend! This entry was posted on Friday, January 28th, 2011 at 3:43 pm and is filed under Uncategorized. You can follow any responses to this entry through the RSS 2.0 feed. You can leave a response, or trackback from your own site. Ach! So sorry. Glad there was not too much damage. Thank you for the updates they have been great!